Serenia Residences The Palm – an absolute beachfront living at its finest where your home is your lifestyle, located on the East side of the crescent. 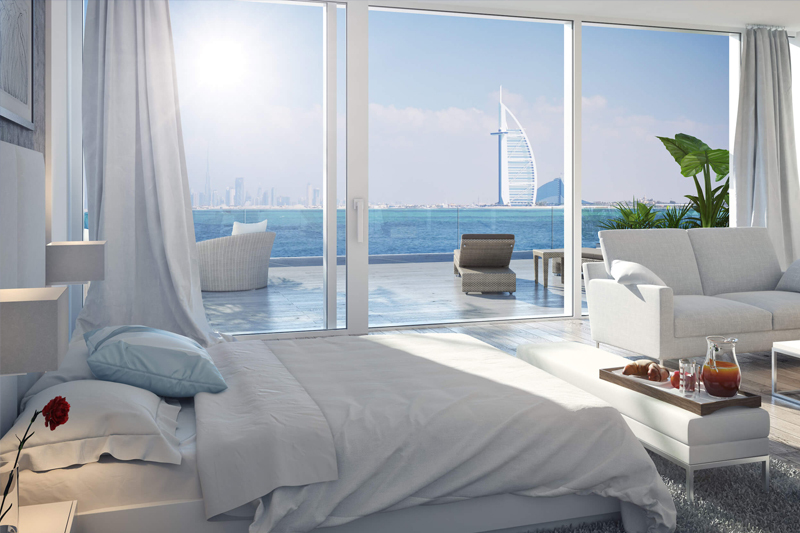 With a sophisticated architecture and a pure connection to nature Serenia offers panoramic views stretching across the Palm towards the Atlantis, Burj Al Arab, the Dubai Marina skyline and the captivating blue seas of The Gulf. All residences enjoy floor-to-ceiling windows, luxurious finishes and a contemporary design with muted tones that mirrors a beachfront lifestyle. Edwards and Towers are the Palm Jumeirah specialists with the largest stock of Garden Homes Signature Villas and Palm Jumeirah apartments.